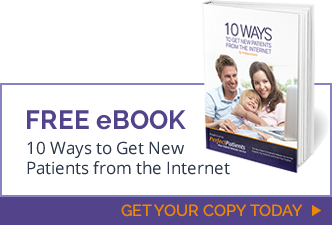 It’s easy to conclude that online marketing doesn’t work when your efforts aren’t generating any new patients. Maybe you’re getting loads of website visitors, but no real results. Browsability – Websites that are easy to browse will hold the attention spans of today’s “attention-deficit” web surfer. Subheadings, bullet points, and professional photos will break up pages and make your web copy more approachable. Authenticity – “Professional” web copy shouldn’t mean cold and detached. To connect with your website visitors (and potential patients) you want to reveal your personality with a human element. Video – Breathe life into your practice website by using videos of you, your team, and your office. Prospective patients like to see what it would be like to receive care in your chiropractic office. With all the clutter flooding the Internet these days it’s difficult for people to find that “diamond in the rough.” So if you’re going to attract and keep anyone’s attention you need an optimized website that caters to the search engines while providing human value. An underperforming website can be expensive and time-consuming. It’s more than throwing up a generic design with superficial content and stock photography. These common pitfalls represent missed opportunities and an underperforming website that doesn’t accurately reflect you or your chiropractic practice. Simply coasting along online is not going to return your investment of time and money. Your practice website must have a strategy and a purpose, with the expressed intent to bring more patients through your office doors. 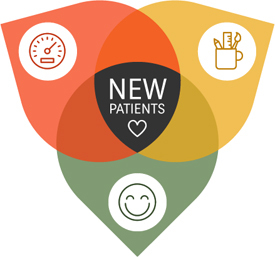 Learn more about the Perfect Patient integrated website solution to see how we approach design and marketing through a proven methodology that converts site visitors into patients.